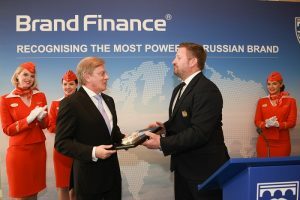 Aeroflot has been recognised as the world’s most powerful airline brand by Brand Finance, with an AAA brand rating. The news may come as a surprise to those in Europe and North America more familiar with western or Gulf flag carriers. However, Aeroflot’s brand strength stems in part from dominance of its domestic market. Its brand equity scores for metrics such as familiarity, consideration, preference and loyalty are formidable, both when compared against other Russian airlines and against foreign ones within their home markets. This is all the more impressive given that there are no air routes for which Aeroflot has exclusive access, demonstrating that its strength is underpinned by competitive advantage rather than monopoly. Every year, leading valuation and strategy consultancy Brand Finance values the brands of thousands of the world’s biggest companies. Brands are first evaluated to determine their power – based on factors such as marketing investment, familiarity, loyalty, staff satisfaction and corporate reputation – and given a corresponding letter grade up to AAA+. Brand strength is used to determine what proportion of a business’s revenue is contributed by the brand, which is projected into perpetuity to determine the brand’s value. 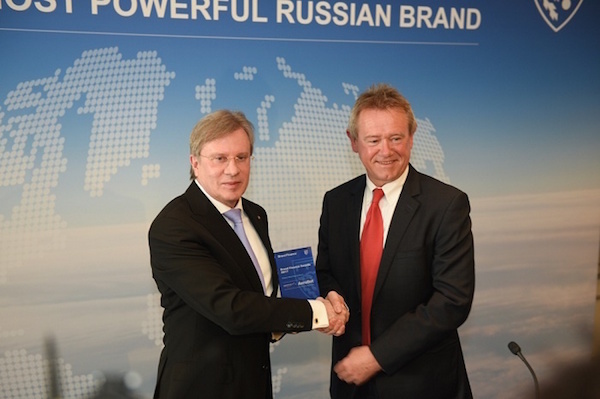 Vitaly Saveliev, chief executive, Aeroflot, said: “Aeroflot is honoured to be named the world’s strongest airline brand. “This recognition reflects not just our 93-year legacy as the number one air carrier in the world’s biggest country, but also our best-in-class service offering on domestic and international routes, the youngest fleet of any major carrier globally, and of course our marketing efforts. “Our current focus is on digitising Aeroflot – whether the customer experience or the behind-the-scenes management of logistics. Investment in the brand, which lays the foundations for future resilience and growth, is another key component of brand strength in which Aeroflot excels. It has the youngest fleet of any major airline and is investing heavily in marketing promotion, particularly in Asia. This is reinforced by its sponsorship of Manchester United – itself he world’s most valuable football brand – which helps Aeroflot reach a vast audience across East Asia in particular. The approach is clearly paying off. United States president Donald Trump may find it somewhat difficult to reconcile his desire to ‘Make America Great Again’ with Aeroflot’s success, however he will be consoled by the performance of America’s top airline brands based on brand value. The top three most valuable airline brands are now all American. For the last five years Emirates, had held the title of world’s most valuable airline brand, but 2017 sees a dramatic shift. Last year, Emirates’ half-year profits plunged 75 per cent. The lower oil price might have been expected to help all airlines, however it has worked against the Gulf carriers, reducing demand from its home region. The lower oil price has also levelled the playing field for international rivals, leading to increased competition, driving down fares. The discount rate applied to all Gulf airlines has increased in tandem with this less favourable environment, reducing long term value. Finally, the strength of the dollar has increased operating costs and also had a negative FX impact on all non-US domiciled brands. As a consequence, Emirates’ brand value is down 21 per cent to US$6.1 billion, Etihad’s value is flat (staying at US$1.56 billion) while Qatar Airways has been most strongly affected, with brand value falling 38 per cent from 2016 to US$2.16 billion. Despite these brand value falls, brand strength has not been affected. Etihad and Qatar Airways retain their AA and AA+ brand ratings while Emirates continues to challenge for the title of world’s strongest airline brand, with an AAA rating. Meanwhile all US airlines have soared in value. The average year to year growth rate of the seven US brands in the table is 68 per cent. The challenges that the Gulf carriers have faced have been to the advantage of America’s major airlines. The lower oil price and a rebounding US economy see United, Delta and American all overtake Emirates with 60 per cent, 47 per cent and 59 per cent growth respectively. With a brand value of US$9.8 billion, American is now the world’s most valuable airline brand for the first time since 2007.